Little River Band is not scheduled to perform in Branson this year. For one amazing night, guests of the Mansion Theatre are going to be treated to the timeless music of the Little River Band; with hits like "Reminiscing," "Take It Easy On Me," and "Cool Change," this band went from being virtually unknown to being a popular band that toured with the likes of the Hollies and Queen. 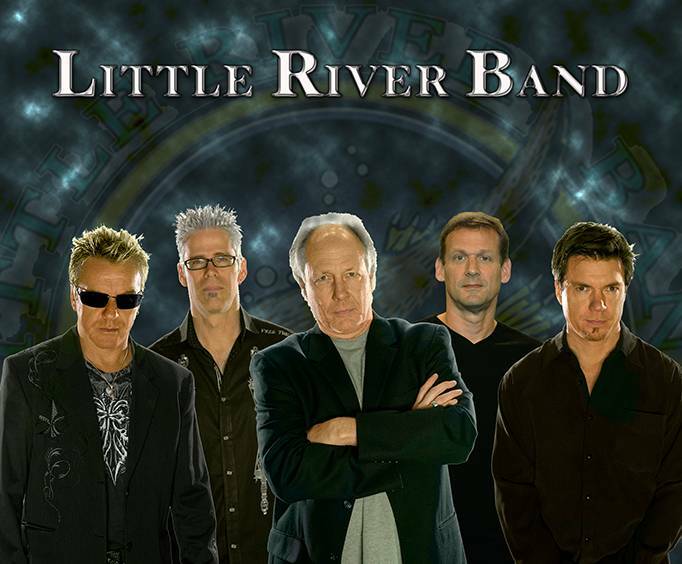 Throughout the years, Little River Band has changed members numerous times, with original members leaving and later returning momentarily. This band has created a legacy as one of Australia's most significant bands, selling more than thirty million records and writing thirteen American Top 40 hits. Having won upwards of twenty-three awards and inductions into the Hall of Fame for their success in the musical industry, this band has created a permanent place for themselves in the annals of music history. Current band members include Wayne Nelson, Greg Hind, Chris Marion, Rich Herring, and Ryan Ricks. These members all strive to keep the well-known hit songs from the early days of the band as relevant and frequently played as they were back then. This beautiful and stately theater is one that will immediately catch your eye upon arrival, with four massive white pillars that stand out and perfectly convey the opulence that the theater's interior holds. Walking in, you will find a lobby with a grandiose feeling. Complete with high ceilings, a marvelous staircase, and an unbeatable ambiance, this wonderful theater is sure to leave you in awe. With three thousand of comfortable theater seats and ornate decorations throughout the auditorium, this is location is the perfect place to see your favorite band. The stage is probably one of the most impressive in the area, with a large 20' by 30' full multi-media projection screen set up directly behind it, making it easier to see if you happen to be sitting further back. This venue is the largest of its kind in the Branson area, and will not disappoint in the way of refreshments and concessions, with the vastly equipped refreshment center and coffee shop in the lobby. For one night, you can attend the spectacular show to spend your evening "reminiscing" with some of their most loved hit songs!